At Fox Vein Experts we specialize in the diagnosis and treatment of venous disease including varicose veins, leg pain and swelling, ulcer care, venous insufficiency, deep vein thrombosis, pulmonary embolism and blood clotting disorders. We have a highly skilled vascular lab with a registered physician vascular interpreter. Our medical team has decades of experience treating venous disease and Dr Fox and her team have successfully performed tens of thousands of vein procedures. They have developed their own vein procedures and techniques and are recognized vein experts. Dr Fox has been featured on American and Latin American television programs as a vein expert and she has written several articles and lectured nationally on the treatment of veins. We offer the newest and best minimally invasive vein procedures including; Endovenous laser ablation, ClariVein®, Ambulatory phlebectomies and ultrasound guided, foam and traditional sclerotherapy. Dr Fox was the first physician in Cleveland to perform endovenous laser ablation and one of the first nationally. She has performed thousands of successful endovenous laser ablations for over a decade. She was the first in Broward County, Florida to Perform the ClariVein® procedure and one of the first in the US to offer this treatment option. We are a training facility for vein procedures and Dr Fox has successfully taught physicians and medical personnel in the treatment of venous disease for over a decade. Dr Fox and her staff have decades of experience and tens of thousands of happy patients. 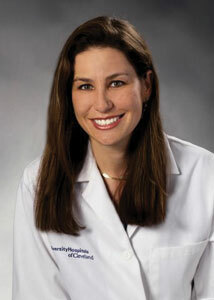 Dr. Susan B Fox, D. O., RPVI, FSVM is an expert in vein and vascular diagnosis and treatment. She is Board Certified in Internal Medicine, Vascular Medicine and Phlebology (the treatment of veins). She was one of the first physicians in the United States to be Board Certified in the treatment of veins. As well, she is a Registered Physician Vascular Interpreter (RPVI) and is certified to read vascular ultrasound studies. After completing her Medical Residency and Vascular Fellowship at the Cleveland Clinic in Cleveland, Ohio, she joined the teaching faculty at University Hospitals of Cleveland, Case Western Reserve University. There, she was the first physician in Cleveland and one of the first nationally to perform Endovenous Laser Ablation of veins. At University Hospitals of Cleveland, she started their first vein treatment and vascular medicine center. She has been on the cutting edge of vein treatments for decades. She was one of the first 20 physicians in the United States to perform the ClariVein® procedure and the first in Broward County, Florida. Dr Fox is a Diplomate of the American College of Phlebology and a Fellow of the Society of Vascular Medicine. In 2005, she was certified in Hyperbaric Medicine and worked at the Memorial Hospital Wound Care Center for years. Prior to starting Fox Vein Experts, she worked at Soffer Vein experts, and previously was a Partner with Cardiovascular Consultants of South Florida for the past ten years. There, she served as the Director of the Vascular Lab and the Director of the Vein and Vascular Diagnostic and Treatment Center. She has been featured as a vein expert on multiple news programs in both America and Latin America and has written numerous articles and lectured extensively on varicose veins. She has developed her own techniques for injecting veins and her office is recognized as an expert training facility by multiple corporations. She has decades of experience in treating veins, and thousands of happy patients. She offers the newest and best minimally invasive vein procedures including; Endovenous laser ablation, ClariVein®, Ambulatory phlebectomies, ultrasound guided injections, foam and traditional sclerotherapy and Veingogh. She has successfully taught physicians and medical personnel in the treatment of venous disease for over a decade at her vein treatment facility. She is fluent in Spanish and English.